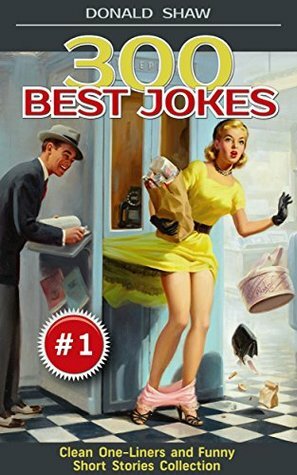 300 Best Jokes by Donald Shaw is a fun read like literally fun. I enjoy the jokes very much, but few were cliche and not understandable to me. It could have been better. I like the cover page. The jokes are naughty and witty include some adult humor. I really like the one short story of an old man and doctor. I picked this book because I want something to read which makes me laugh and this piece of Donald Shaw serve its purpose. This book is not suitable for kids. I finish this one just like a piece of cake. It includes jokes about different life situations. I recommend this to all because once in a while we all need a break from heavy readings. "I figured out why men more often get caught with murders. Periods help the women to learn how to get rid of the blood on their belongings." "Weapons don't kill people. Husbands who come home early kill people."